Road Runner Removals - Removals/Storage based in Rochester, Kent. Hi. Thanks for looking at our Profile. 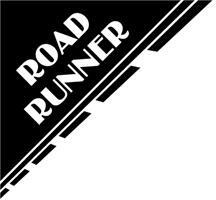 I'm Dave Last, sole owner operator of Road Runner Removals. I started in the house removals business over 15 years ago. We are based in Medway, Kent and travel over the whole Country. We regularly perform work for major PLC's, Local Councils and big branded Charities.......even delivered wine to Prince Charles. We can carry out every aspect of Removals, Packing and Storage, up to a 4 Bed House. Our work ethics has always remained the same, with reliability and care for your belongings at the top of our priority. We are always flexible to the customers needs, as all house moves can be so different. We also carry out single item and part moves, with our very popular Man and Van Service. For a friendly informal chat about your Removal needs, give us a call to obtain your Free Quote. All ME, DA, SE, TN, and CT postcodes and all surrounding areas.